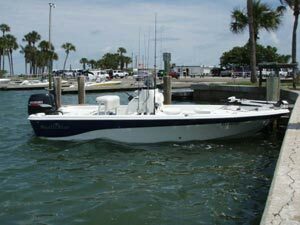 The fleet of available boats for our Clearwater area flats and inshore/nearshore fishing charters include a 2009 Nautic Start Bay Boat. Our charters can accommodate up to 4 people and we provide all necessary bait, tackle, equipment, and licenses. 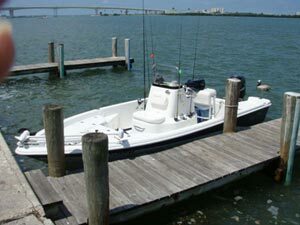 Though our charters mainly launch in the Clearwater/Largo area, we can easily launch our boats from any area location for easy access to fishing hotspots in St Petersburg, along the Pinellas beaches to Dunedin, and even into Tampa Bay. 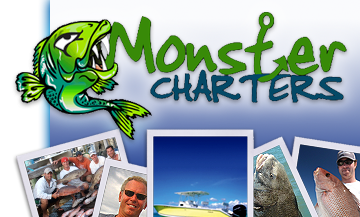 Contact Monster Charters today for more information about our flats and inshore fishing charters in the Clearwater area.